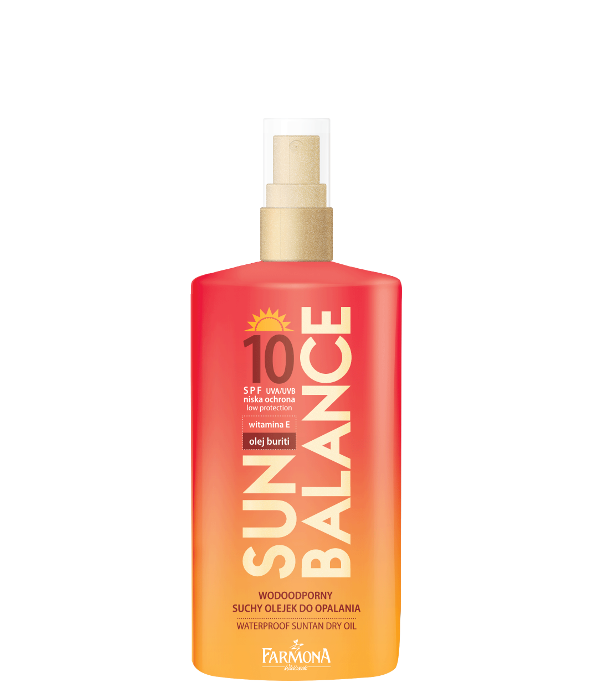 Sun protection for all skin types, especially dark complexion. Oil strengthens and preserves the tan, intensively moisturizes the skin, improves its elasticity and firmness. Ensures beautiful tan. USAGE: Spread the oil evenly on the skin at least 20-30 minutes before sun exposure. Repeat application several times during sunbathing and each time after swimming. Attention: Overexposure to the sun may cause real health threat. Protect children and infants from direct solar radiation. Products with UVA/UVB filters do not provide 100% sun protection.